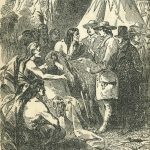 In the spring of 2014, representatives of the Alabama Center for the Book and the Alabama Writers’ Forum with a committee of readers, writers, and scholars met to decide how best to honor the rich legacy of native Alabamians who earned their reputations in the literary arts. From these initial meetings, came the Alabama Writers Hall of Fame. Like the Alabama Music Hall of Fame, the Alabama Sports Hall of Fame, and the Alabama Women’s Hall of Fame, the Alabama Writers Hall of Fame recognizes those professionals who have proved outstanding in their field. The class of 2018: Shirley Ann Grau, Gay Talese, Charles Gaines, Winston Groom, Joseph Glover Baldwin, William Bradford Huie, Wayne Greenhaw and James Haskins. Erskine Caldwell was a realist who wrote about the poor, desperate people he grew up with in rural Georgia. William Faulkner was a modernist who wrote about the dying aristocracy he saw around him in small town Mississippi. Their willingness to confront stark, often ugly realities of modern Southern life made it all too easy to characterize their works as prurient, transgressive. Exciting. Whether or not they were aiming for something scandalous, this kind of content provided an excellent way for publishers to market their works. Eventually, Caldwell and Faulkner became buzz words for a particular kind of Southern fiction. 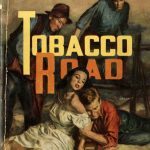 They were frequently republished in the 1950s, which marked the height of the pulp novel craze and continued the country’s fascination with Southern literature — whether it featured Caldwell’s “crackers” or Faulkner’s old money, whether it was trash or treasure or some measure of both. The exhibit presents and analyzes some of these pulp-style novel covers. In addition to Caldwell and Faulkner, it encompasses a variety of Southern writers of literary and entertainment fiction, many of whom were well known in their day but have been largely forgotten. This exhibit explores centuries of cross-cultural encounters between the Native peoples of North America and ‘newcomers’ of European and African origins. The items shown here reflect those complicated exchanges, telling stories of valuable alliances, deep misunderstandings, violence and displacement, and myth-making and memory. The materials on display were largely created by white travelers and settlers, a context that makes interpreting them challenging. Each item was chosen and commented upon by a Fall 2017 student in AMS 470 and 570. The students also helped arrange the items into thematic groupings, building upon knowledge developed through various course activities and assignments.